Big Bang Theory enthusiasts -- the time has finally arrived. Remember the unforgettable TV moment when Sheldon taught Penny the lyrics to a song his mom sang him when he was sick? 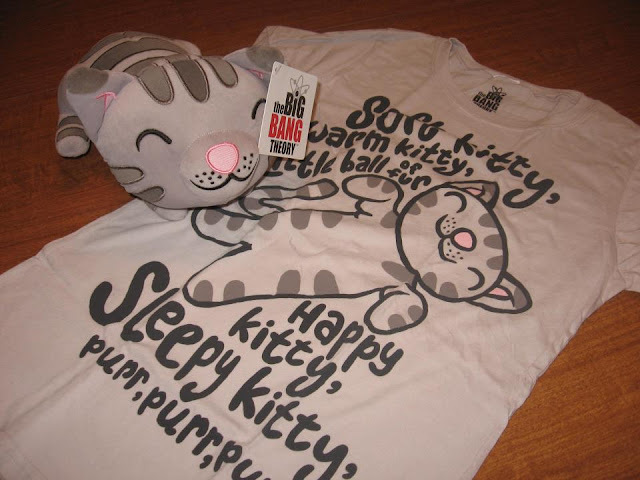 Well that hilarious moment can be forever remembered with a "Soft Kitty" plush and T-shirt. Even if you've never seen the episode (watch it below), you can still appreciate the super-cute kitty and shirt. The officially-licensed items can be purchased as a combo or separately from Stylin Online.